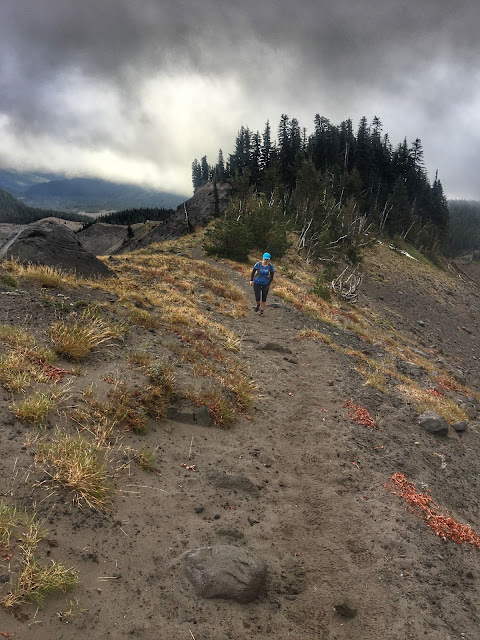 Yassine of Animal Athletics decided to do one last long training run in preparation for his 3rd HURT 100 and invited a lot of the Portland trail running community to join him. 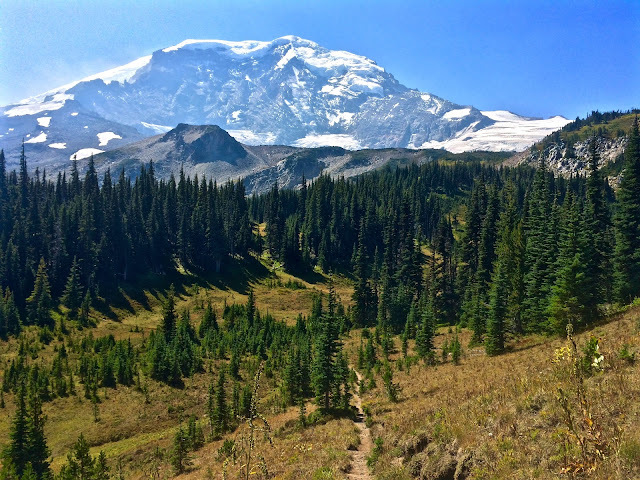 His route was 4 loops of the "North Nasty", which is ~11 miles and 3000 feet of elevation gain. Look Susan does run uphill! Last year Animal Athletics did several group runs they called the "Nasty Series", for one reason or another Susan and I weren't able to make any of the runs, well technically we tried to make one, but we were late. This time since Yassine was doing loops, we knew we could start any time and he would eventually catch up to (pass) us. We decided to do 1 loop of the North Nasty and add on an extra "easier" 9 miles to give us a good 20 miler. We really enjoyed seeing so many people running the route and chatting with everyone, even if was just passing and saying, "are you doing the Nasty?". Yassine and several other fast runners eventually did catch up and pass us, but not before saying hi and asking how we were doing. We got to catch up with our friend Ben while walking up BPA, which I remember being an awful trail, but it wasn't too bad, probably because I wasn't trying to run up it. Doing a 11 miles in Forest Park and not spending a lot of time on Wildwood made it feel like we running somewhere else. It makes me curious what the other Nasty routes are. 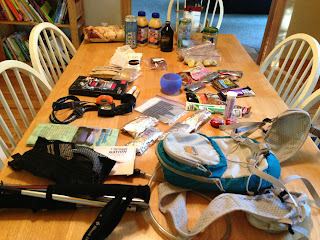 But once we did the ~9 mile loop on Wildwood and Leif, it felt like having your favorite comfort food. Shouldn't the water go through the drains?